Last week, Baker Ross sent me a box of their summertime fun crafts! We have been having fun painting the wooden birdhouse kits, creating beautiful beach hut mosaic coasters, threading camper van keyrings and sewing a tropical fish cushion. I love the Baker Ross craft kits as they are always of good quality and come with full instructions. Each kit is well packed and they are also great for party bags. Each kit is very well priced and great value. The kits are easy to follow and make. This is how we made them. Firstly, painted the wooden birdhouses. Inside this kit, there are two birdhouses which comes as flat panels of thin wood. Piecing these together was very easy. We painted these in two different ways. Ms C painted hers after her birdhouse was pieced together while Mr K painted his on the flat surfaces before it was pieced together. I felt that painting on a flat surface was much easier than after we fixed it together. After painting, we waited for a couple of hours before we put Mr K’s birdhouse together. They both look gorgeous. These beach hut mosaic coasters are made from foam. They are easy to stick on and great for fine motor skills. Each kit contains foam coaster templates, self-adhesive foam mosaic tiles and instructions. There are six sets included in this kit. Next we made the camper van keyring. 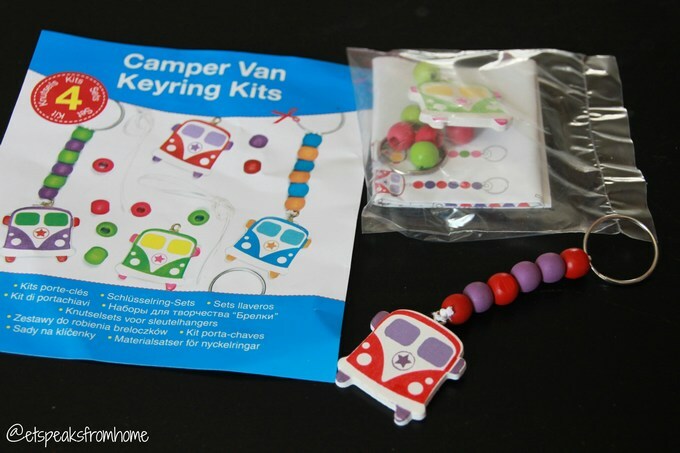 Inside the kit, it comes with four sets and in each set, there is a string, 6 beads, ring and a wooden camper van. Threading this together is straightforward and within minutes they are ready to use. 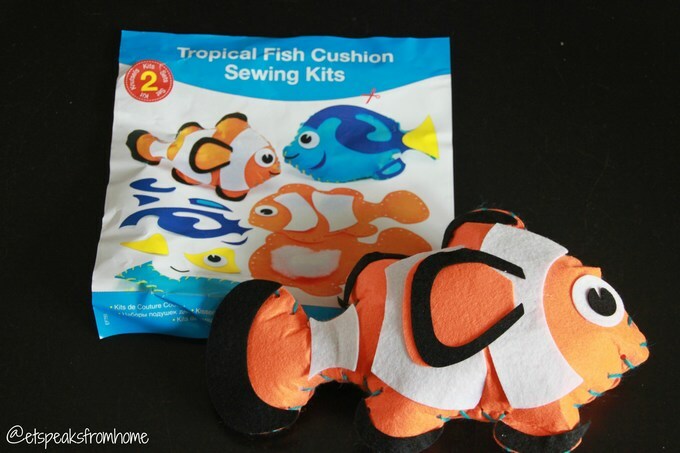 Lastly, we sewed a tropical fish cushion. Each kit contains pre-punched felt pieces, self-adhesive felt shapes, yarn, plastic needle, stuffing and instructions. There are two assorted designs – blue tang and clown fish. They look great for display but after sometime, the stickers from the fish started to peel off when touched. You have to be quite careful using it as it might stick onto your hair or anywhere else. It does look great though! Do take a look at Baker Ross if you are looking for craft kits to entertain your children this summer!